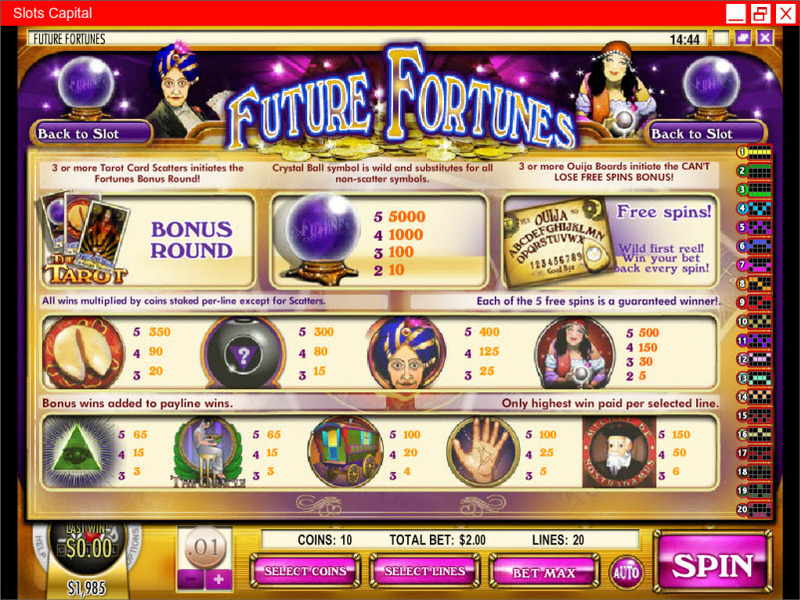 Overview: Rival Gaming is proud to announce the launch of Future Fortunes, an exciting 20-line slot game with the all new "Can't Lose" game-play. This slot game can be played in denominations from 0.01 to 0.25 dollars with total bet sizes up to $50.00. The Jackpot runs up to a maximum 5,000 coins and the a bonus round that can pay out up to 900 times the total bet - 180,000 COINS! 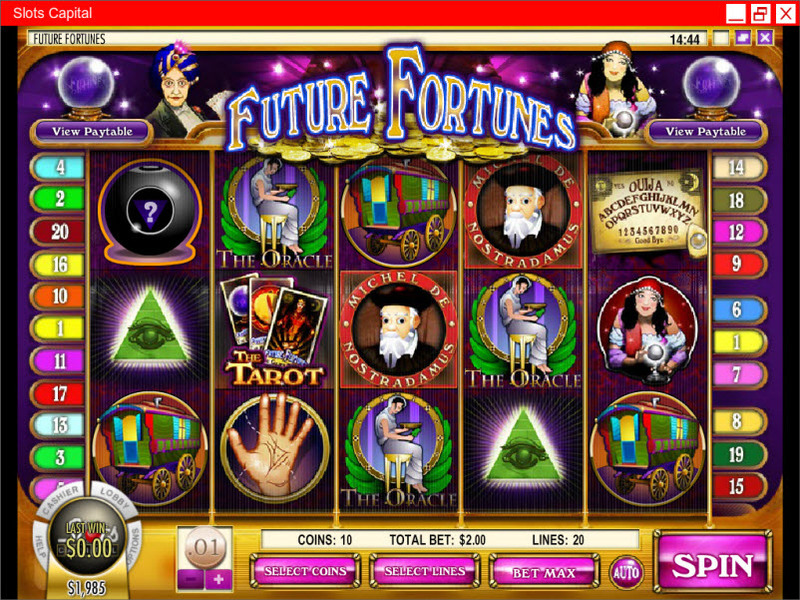 Similar Slots: If you like Future Fortunes, you might like these other Rival video slot machines: Atomic Age, Coins of Olympus, Doo-Wop Daddy-O, Grandma's Attic, Ice Picks, Whale O' Winnings.